KR: Qualifying was good. The car hasn’t felt fantastic all weekend but we decided we weren’t going to change the car’s set-up from where it was for the last race. It was the right choice because in the end the circuit came to us in qualifying where the car was the best it has been so far here. We’ll give tomorrow our best shot ; Let’s see if we can make a good start to get right behind the Red Bulls, and then we’ll see what happens after that. Q: How important do you think the start will be ? Everyone is saying it’s going to be a one stop strategy, will it be crucial to get a good start for the race tomorrow ? KR: It’ll be the same as many of the races ; here you don’t see a lot of overtaking, although this year we will have the DRS so we’ll try to gain a place if we can, and make as good a start as we can. Q: How was the speed in the car this weekend ? KR: The speed was fine ; we had the speed last time also, and the lap time, but not the speed in a straight line. If we are able to put ourselves behind cars with a similar speed then we can see what we can do during a pit stop..
Q: Pace wise, you’re not too far off the top guys, do you think you’ll have a chance tomorrow to go for podium ? KR: If we can get behind the Red Bulls after the start, then we should have the chance to stay with them and hopefully do something about it during the race. I think our only chance is if they make a mistake and then we’ll try to get past. It will be the same as India I think, and if we had qualified higher then it would have been a completely different story. 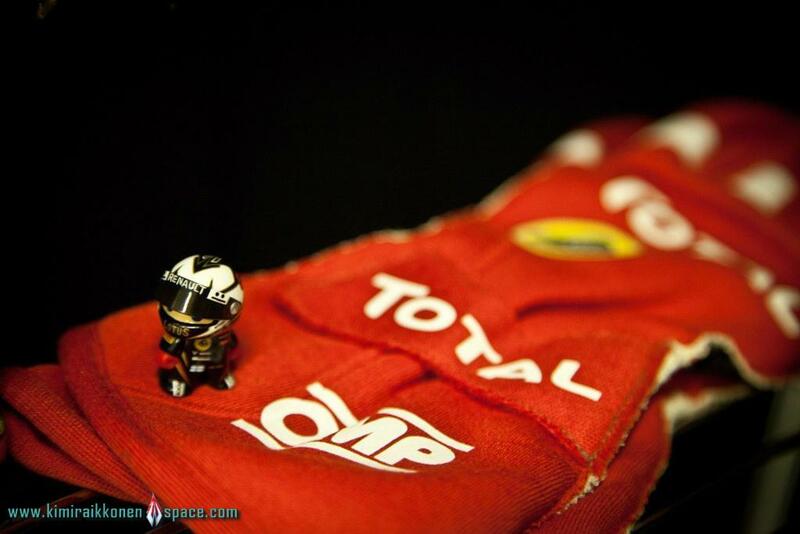 Icemna starts in 4th position becuase of Vettel…!!!! YYEEESSSS…!!!! Well done, Kimi! Vettel´s setback gives to You more chances to fight for the better place in the end! Keep going – tomorrow will be full of surpises, I´m sure!!! Previous Abu Dhabi GP – Qualifying: 5th! Next Abu Dhabi GP – Results: VICTORY!